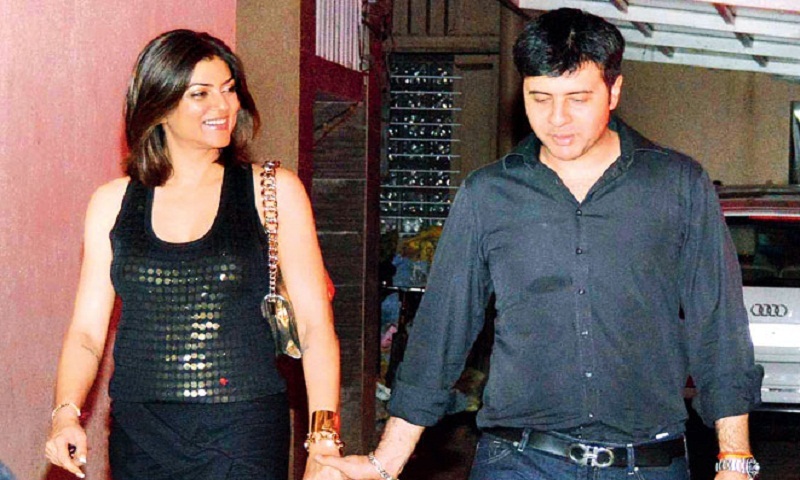 Sushmita Sen and rumoured boyfriend Ritik Bhasin break up after four years? Bollywood actress Sushmita Sen and her rumoured restaurateur-boyfriend Ritik Bhasin have reportedly called it quits and ended their relationship. The couple were said to be dating for four years. According to a report in Mumbai Mirror, the couple were rumoured to be getting married two years ago and were planning to buy a house together. The report further states that Sushmita Sen's friends haven't seen the two together in six months. The report adds that though they are still in touch, they might never reunite romantically. Sushmita Sen, who recently turned 42 years old, posted a snapshot on Instagram recently to show off her abs. She wrote, "Slowly but surely, I begin training again to meet the body I want for my 42nd birthday. I'll keep it simple and just do it. My body... my rules (sic)." Meanwhile, the former Miss Universe says that nowadays the Hindi film industry is not based on an artiste's look and age but on talent. She believes that age only adds experience to the actor's career. The actress, who is a single mother to daughters Renee Sen and Alisah Sen, says that it would be tragedy if an actor's career gets over at the age of 25. On the work front, Sushmita Sen was last seen onscreen in 2010 in the Bollywood film 'No Problem' and in a Bengali film 'Nirbaak'.